The walls are prime real estate in a small home. 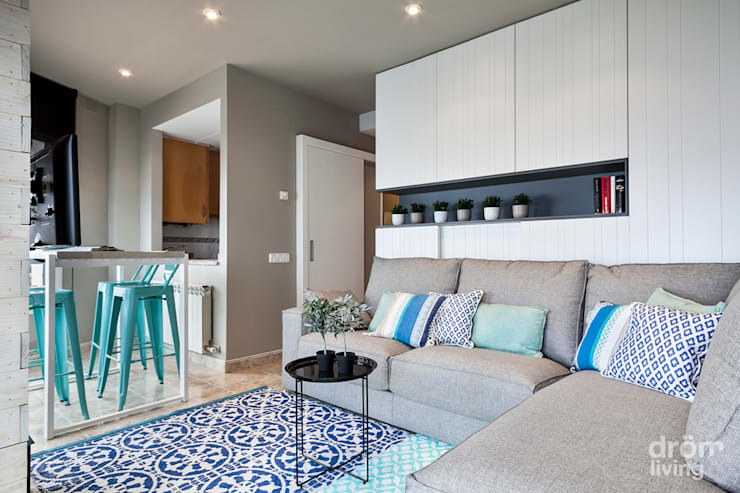 They are often the best place to add a little extra storage space and this means that the precious floor space is kept clear. They also help draw attention to the upper part of the room. This is the most commonly underutilised space in a small home and it can provide a powerful decorative pinch. 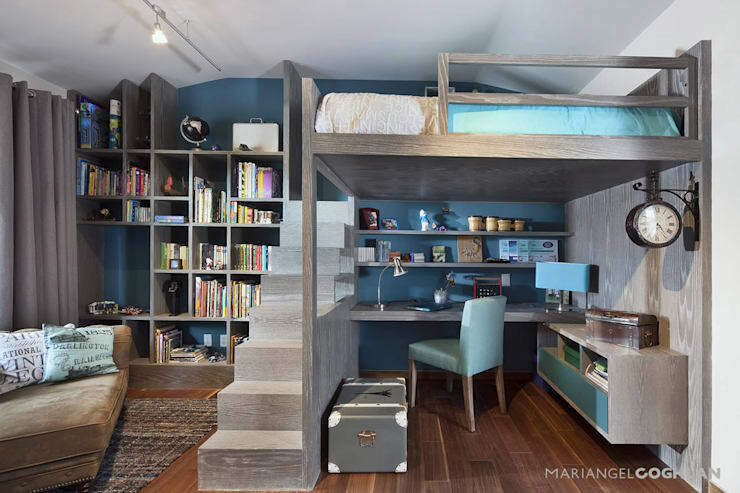 So what are the most amazing shelving ideas for small home? 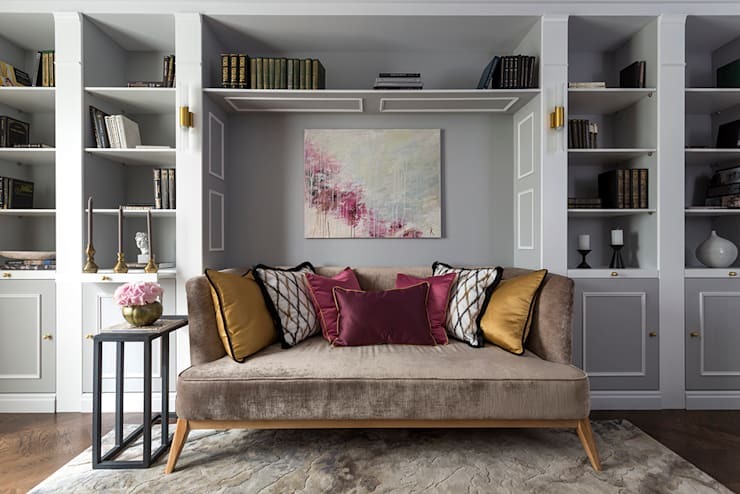 Well, here at homify we have a plethora of gorgeous little interiors to inspire. We have found a good collection of unusual shelving ideas. So let's check out just 12 of them. High and hard to reach spaces don't need to be wasted in a small home. Put them to good use with a decorative shelf. It could just contain a few oversized ceramics like this. 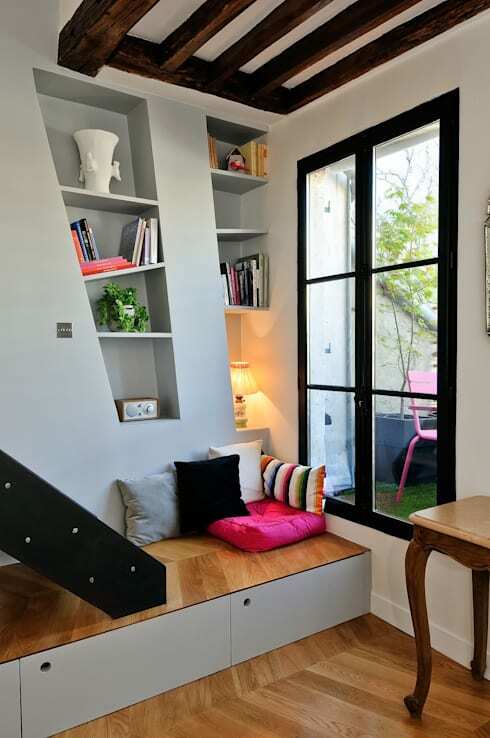 If you have some unusual little corners in the room, why not explore something a little different. The shelves run on a slope and the trapezoid shape is totally different. 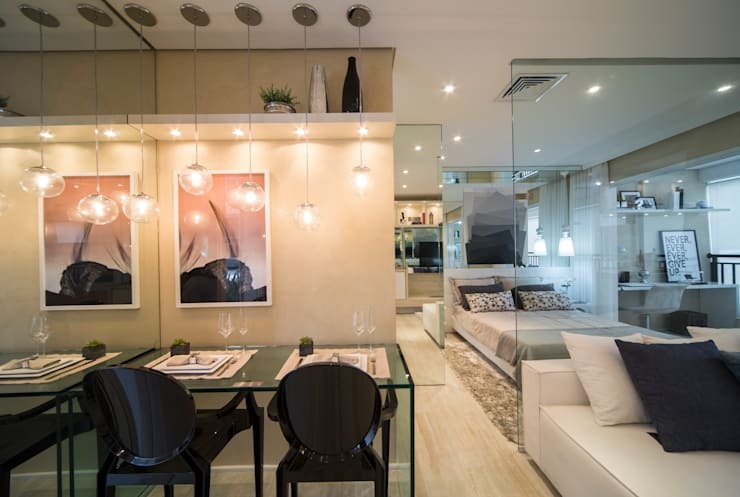 Most small home dweller knows the power of mirrors when it comes to expanding the boundaries of the home. This one has been combined with a shallow picture shelf. It's a decorative display that's practical too. Built in storage units are great for small homes. But this kind of unit doesn't need to completely take over the wall. Divide the storage units into two areas and create a little inset shelf like this. 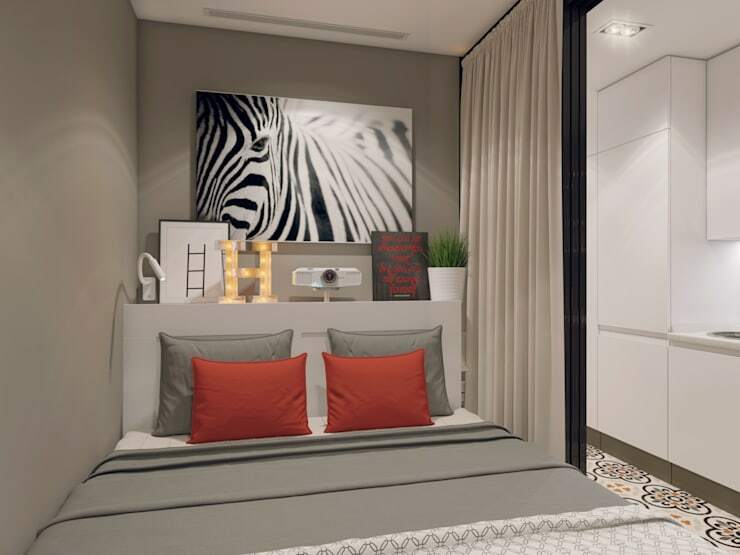 Small bedrooms are often lacking in space for bedside tables or nightstands. 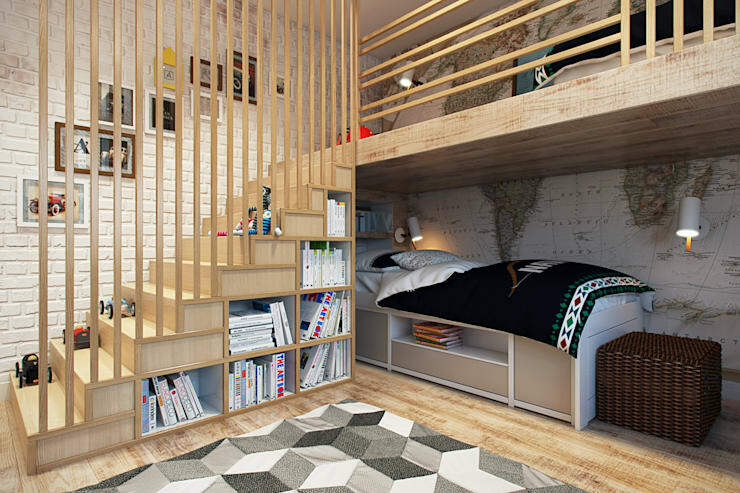 A deep headboard and shelf in one is an amazing alternative. Free standing shelves are a classic small home solution. They are great for dividing the living room from the bedroom or kitchen because they don't block the flow of natural light. Don't cram them with objects but give them some style like this. Foldable or stowaway furniture can be very helpful in a tight space. Perhaps you could use a unit like this that doubles as a table as well. In a small home the walls are often the place to express the spirit of a small home. Consider the benefits of exploring wooden trims and decorative panels for a classic old-world effect. 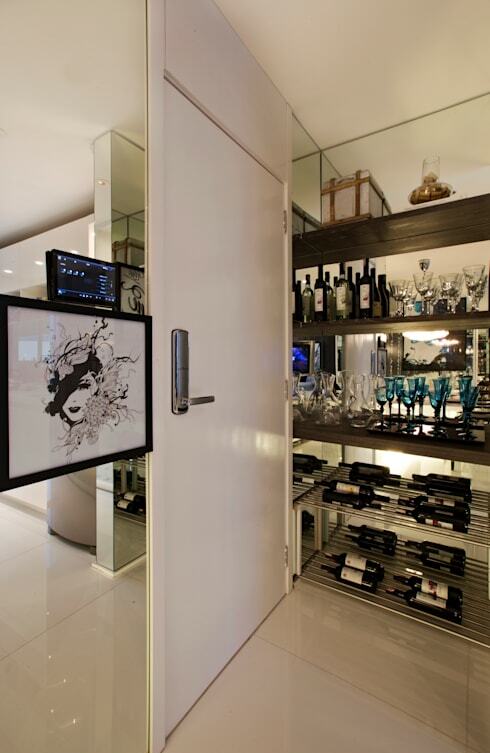 A small home certainly doesn't seem like the place for a wine collection or drinks cabinet. But all you really need are some stainless steel racks, pretty glass and a mirrored wall! The ordinary places in the home like the staircase or bed base are good places to install a shelf. Even the ordinary can become extraordinary with a little extra effort. One room homes are notorious for being furnished with generic, geometric storage shelves. Sure they're practical, but don't need to be bereft of style. Our favourite feature in this small home is the bookshelf on the left. It has a huge variety of small and large shelves. 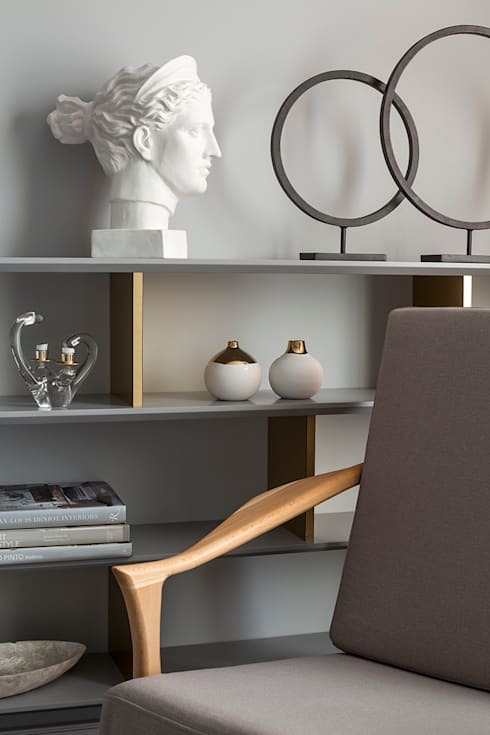 This grey shelving unit may have all the usual basics, but it's also totally stunning. The secret lies in the subtle play between the grey tones of the shelf and the grey on the wall. The golden dividers add that final touch of gloss. For more small home inspiration, have a look at The 10 best colours for small bathrooms. 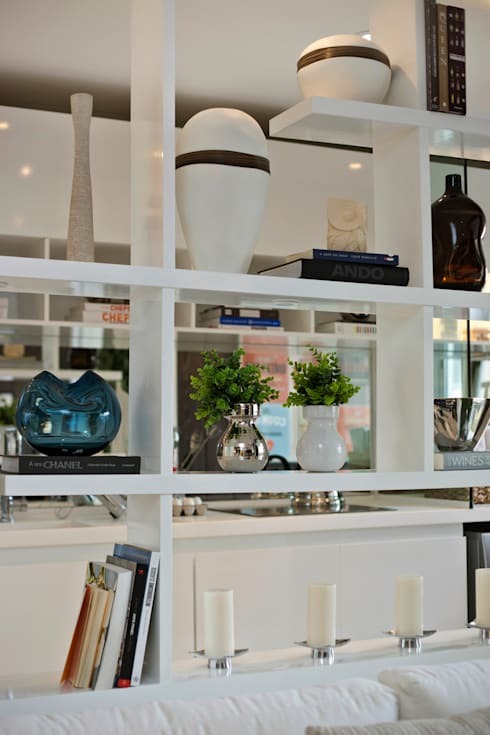 Which of these shelving ideas will you try?